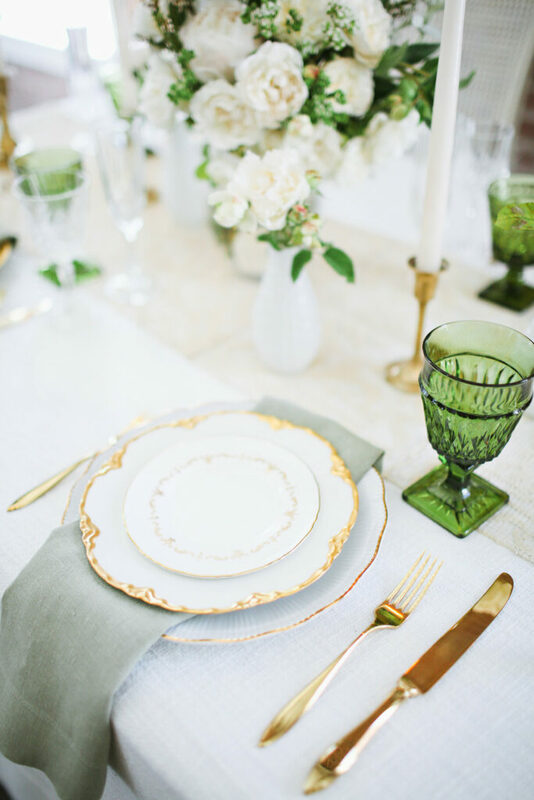 Ivory is the perfect color to tie elegance and St. Patrick’s Day together! 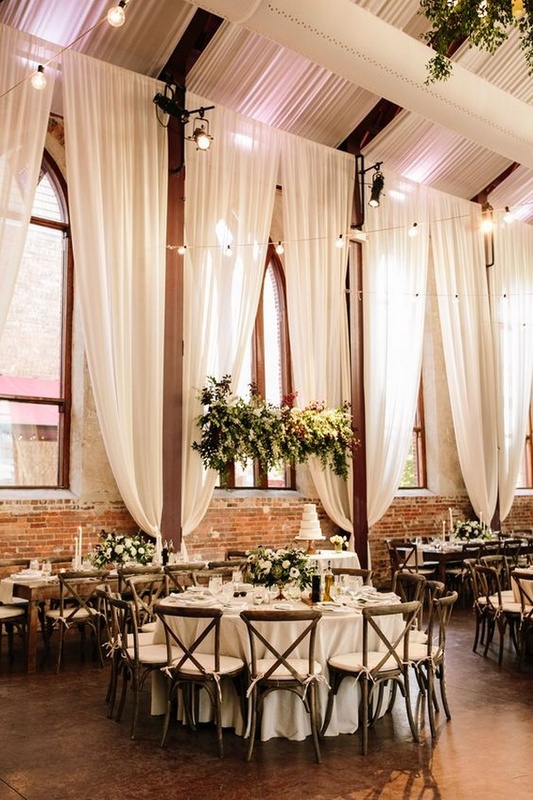 Don’t you love how bright the greenery looks against the ivory draping? A main element of having a classy St. Patrick’s Day wedding is beautiful flowers! This cascading bouquet will bring the spring feel and definitely make a statement. 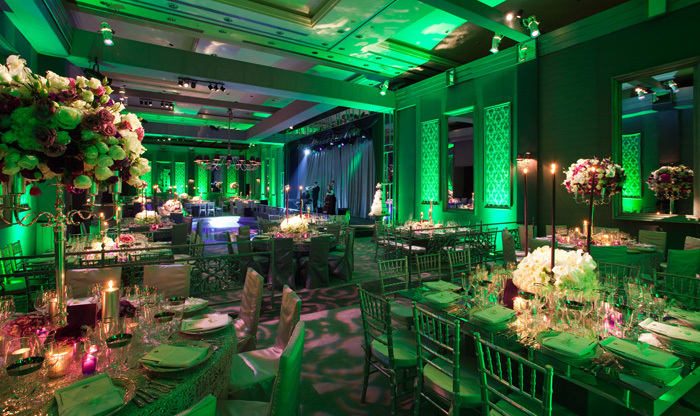 Emerald uplighting adds another element that will have a special effect on the mood. Plus your guests can have an awesome backdrop for their photos! Green is a beautiful accent color. Simplicity is key! 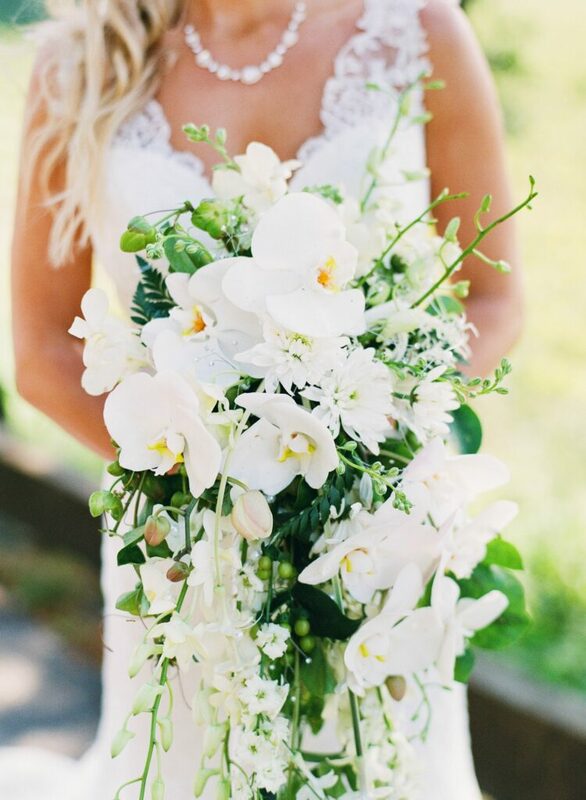 Bring in some softer tones and rely on those gorgeous green flowers!